You might be thinking you are not selling a pop singer’s album or promoting a movie then, why is it necessary to add music to your business videos? The viewers usually make subconscious judgments in a split of second about the content of the video and often the type of music used in the video plays a major role in their decision，so it is important to carefully choose music for your video. The type of music you choose determines a lot about the insight and awareness of your message conveyed through the video. In comparison to the music videos, the marketing video’s music is used only to complement the message that is being conveyed through the video. Good music can make your business video even more powerful. Unlike the music videos, the music in the marketing videos adds color and enhances your video, if you can choose it correctly. So, let’s learn how to properly choose music for your business videos. You need to decide the role of the music in your marketing video. Ask yourself if you want the music you choosed to drive the message or is it just to support. The type of message will determine what kind of music to choose. For instance, is it a message giving out broad information or just teaching the spectators the technical details where they would require focusing without any distraction? You must note if the music is too loud and drifting the viewer’s attention from the primary message. When you are conveying detailed technical info, choose music that will not divert the attention of the users from the main info. A supportive underscore can be just fine for such videos. For explaining broader concepts, choose music that evokes emotion in your video. Foreground music can highly support such videos. You must choose music according to the requirement of what needs to be conveyed and not whatever you wish to. It is very important to connect with your audience and understand their likes and dislikes. If you don’t understand what your audience feel, you cannot connect with them and nor will they reciprocate to your videos. So, how do you want your viewers to feel or express when they see your video? Do you want them to feel warm through customer testimonials or do you wish to tickle their funny bones? Whatever feelings you wish to evoke in your viewers, each one of them have their distinct styles of music after you choose the proper music . Some of the licensed music libraries tags their music as per the emotion attached to it like peaceful, playful, empowering, etc. The tagged music feature helps greatly to select the right music background track that supports and lifts the emotional message in your video. You may choose music for your video by splitting the work. You can play the video without music in one window and on the other window keep trying some of the music that can fit into your video. This can truly help you to find the precise match. Budget is something vital without which you cannot produce a video. You need to decide whether you wish to hire a composer to create the original track of the video or select music from a licensed library by paying. The budget of the music can keep fluctuating. Sometimes it is so expensive. The music from the licensed library can cost you $10 to $100 for personal use and small business videos. The composer can charge approximately $300-$1000 for a quality original track for the small video. In recent times, to search the right music for the video, the media producers choose music library with detailed function as their preferred choice. When there are powerful search functions, it helps you with search filters based on different music genres, sonic density/sparseness, organic versus electronic score, instrumentation, and much more. If you need a form of music where non-stop voiceover is required and the mood is more or less consistent, you may choose music from the library as it has a lesser role to play. If you need music where it needs to be featured, you may hire a composer or access the music libraries music with the license. Every library has separate price points and licensing agreements depending on what music you opt for. There are certain situations when even good background music is completely ignored. So, you must not let the music overpower a conversation or words of someone talking on screen. The sonic elements in the song have the power to give a fight to the human voice. Whistling or poppy piano melodies are some of the examples that can compete with a human voice. But, you need to choose music wisely as group whoa-ing and vocals are also part of this category. While you choose music for your video, you must keep the demographics in mind. You must consider if your target audience listens to indie rock, hip-hop, electronic dance music or something else. It is also important to note if any of the particular music genres directly influence the audience you are trying to reach. To reach a wider market or many age ranges, choose music that appeals to all kind of people. The storytelling narration in a video can be enhanced by adding lyrics as it has the power to add dramatic elements into it. When you use lyrics of the song in the video, consider one that is common to all. It shouldn’t subdue the message you wish to convey. You must remember that when you use on-camera narration or voice-over, never use music lyrics in the video. You can find more information on Genius. 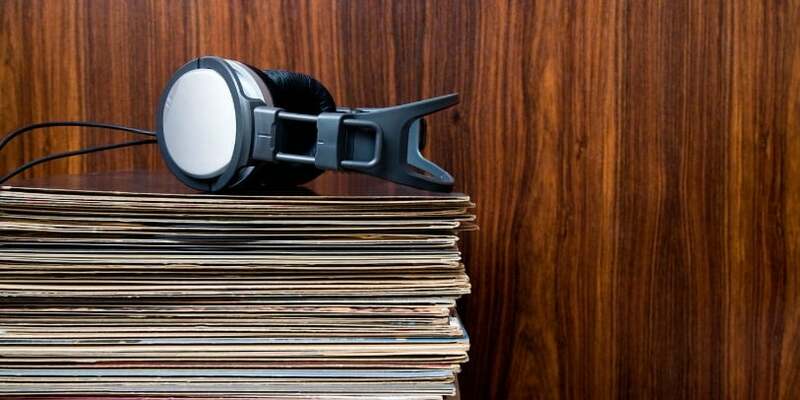 If you have budget constraints and cannot afford to buy music tracks from licensed libraries, there are several free music websites that you may consider to complete your marketing videos and give it a professional appeal. Definitely, music is something very personal but when you choose music for your business marketing video, you must select the right song that can fortify the message you are conveying. After covering the basic elements of how to choose music in order to make a great video, you can go ahead and try making marketing videos that can highly impress your audiences.